Nintendo is the undisputed king of handhelds and they’ve got another solid one coming out later this week. 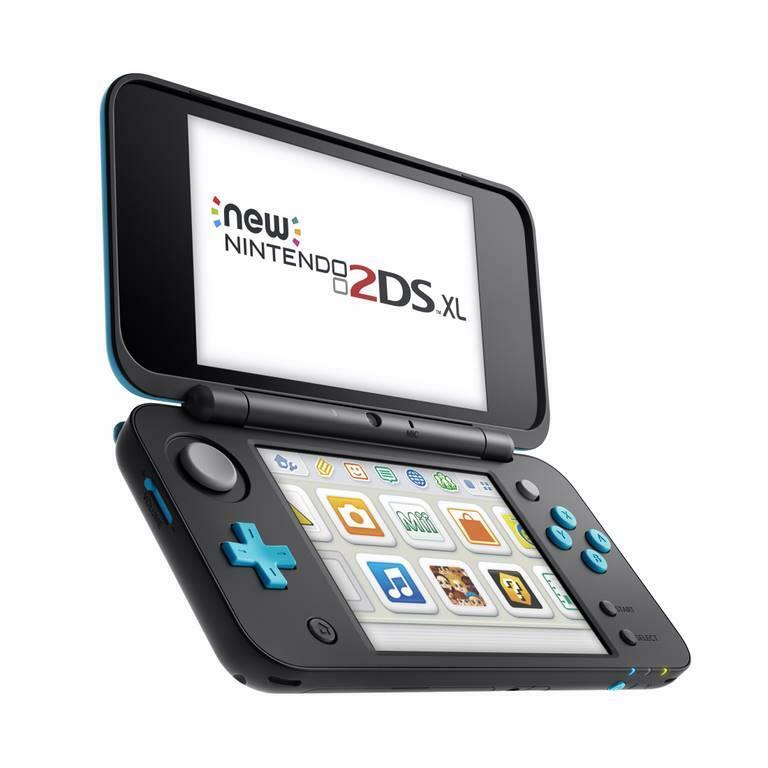 Announced two months ago out of nowhere, the New Nintendo 2DS XL is basically the 3DS XL, but without the 3D. Well, there are some more improvements, but in a very broad view of the product, you can pretty much categorize it that way. Nintendo was very kind enough to send one our way to check out. 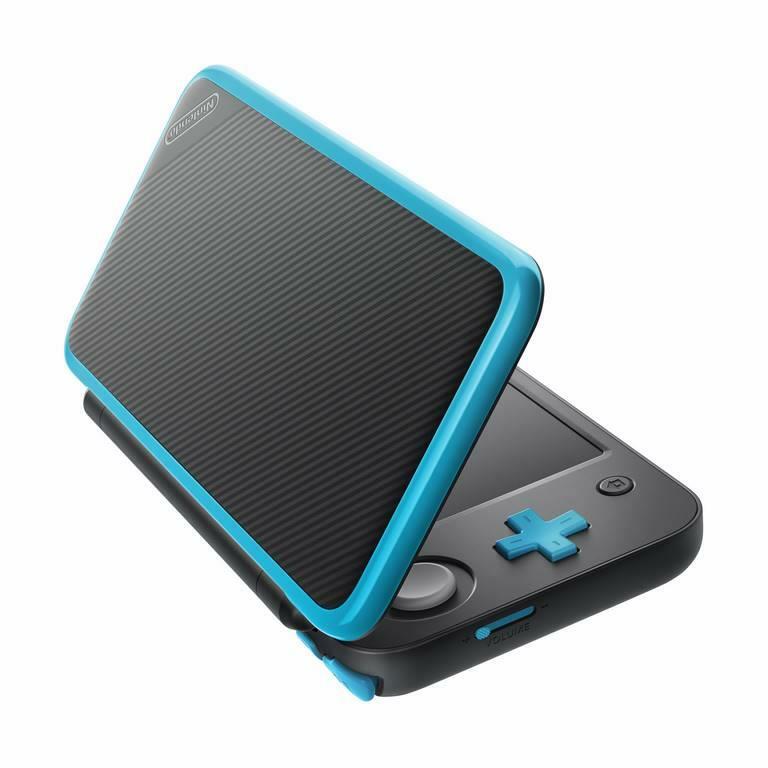 The New Nintendo 2DS XL retains the clam shell design of the 3DS XL, but it’s thinner and lighter due to not needing the 3D hardware and other internal improvements. It measures 3.4” x 6.3” x 0.8” when folded compared to 3.6” x 6.3” x 0.8” of the 3DS XL. When open, the 2DS XL measures 6.4” x 6.3” x 0.8”. For comparison, the 3DS XL when open measures 6.78” x 6.3” x 0.8”. 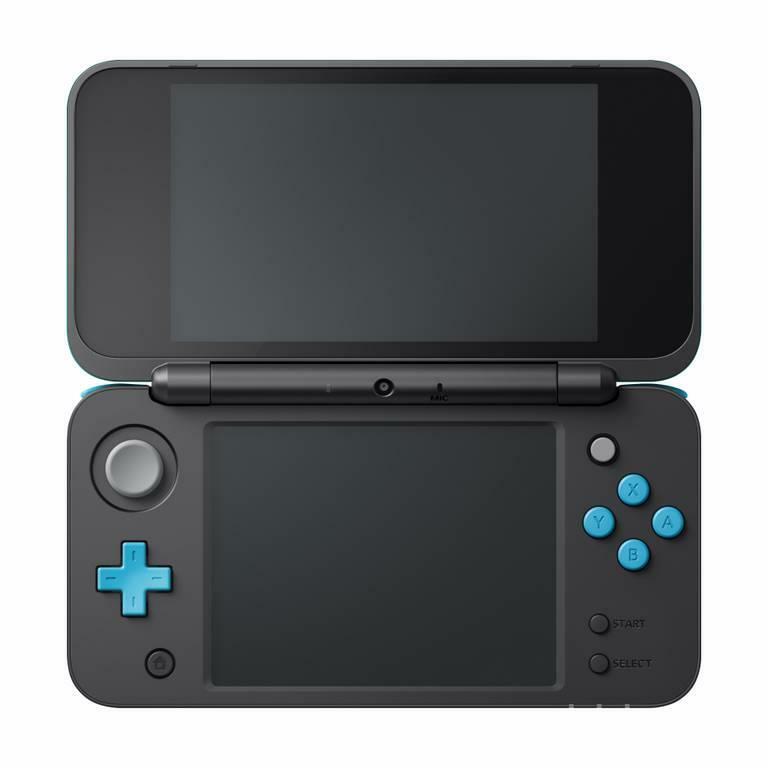 Weight wise, the 2DS XL comes in at 9.2 ounces, the same as the 2DS and less than the 3DS XL, which weighs 11.6 ounces. Which, for those that want a lighter unit, here it is. Removing some of the components has produced a smaller, lighter portable gaming device. While it is a smaller unit, the hinge now juts out the back, which was flush in the 3DS. 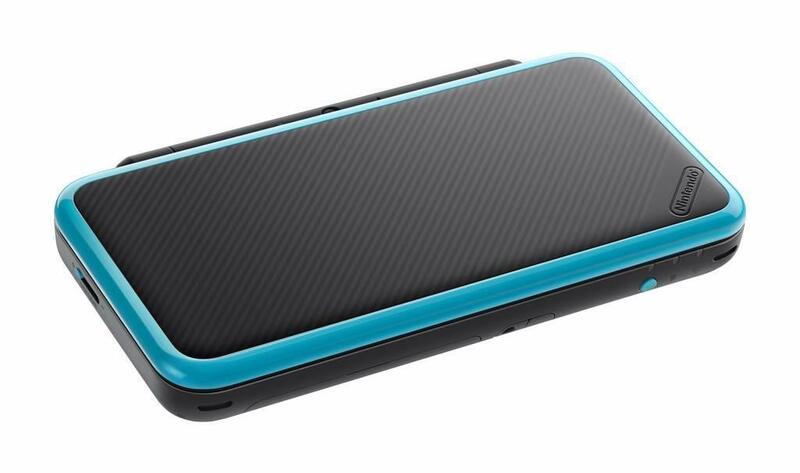 It’s not that big of a deal, but visually, it doesn’t seem as nice as the 3DS XL. The screen sizes between the two XL products measure the same at 4.88” diagonal for the top screen and 4.18” diagonal for the bottom screen. Without 3D, you’re not missing any screen real estate and the resolution’s at 400x240. It’s definitely still on the lower end of the resolution, but I can understand why Nintendo wanted to keep the same spec. I wasn’t expecting an increase in screen quality, but the lower resolution is a little disappointing by today’s standards. Also, the viewing angles a little subpar, as I think I read they used TN panels on the 2DS. For interacting with the touchscreen, the 2DS Xl, like its predecessors, has a stylus. Unfortunately, the smaller unit means a smaller stylus that’s housed in the 2DS. In fact, I moved away from using the shorter stylus after a while, but it is there if you do want to go that route. Just like the 3DS XL, the 2DS XL has a NFC reader for that sweet, sweet Amiibo action. 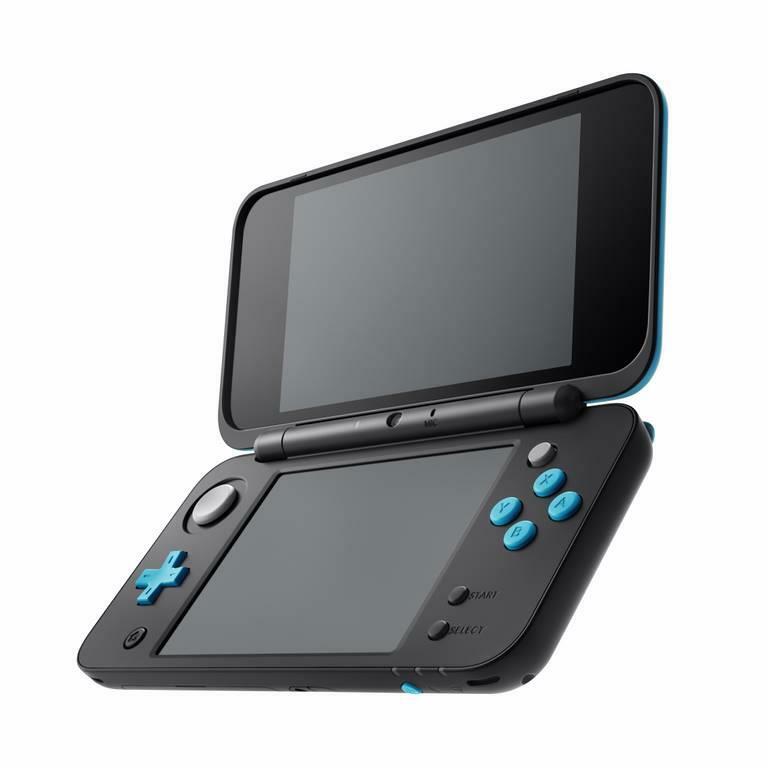 I mean, it has to right if it’s going to play all the 3DS games, but with a 2D screen. 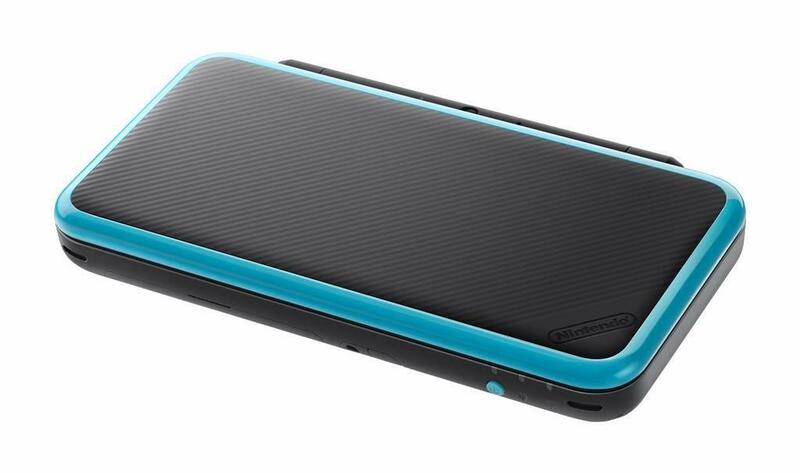 Even though it’s not 3D, the 2DS XL retains the dual cameras on the back so you can still take 3D pictures and there’s also a single camera on the front where the hinge is as well. The New Nintendo 2DS XL also works with those augmented reality cards as well, so even though there is no 3D screen, it can still do some of the 3D features present in the 3DS XL. One nice improvement over the 3DS XL is that Nintendo has moved the microSD card slot next to the cartridge slot that’s covered by a small hinge flap. The flap does seem a little flimsy, but time will tell if it will fall off from the hand held. I do like the decision to make the microSD card slot easier to access and without the need to bring out tools to get to it this time around. 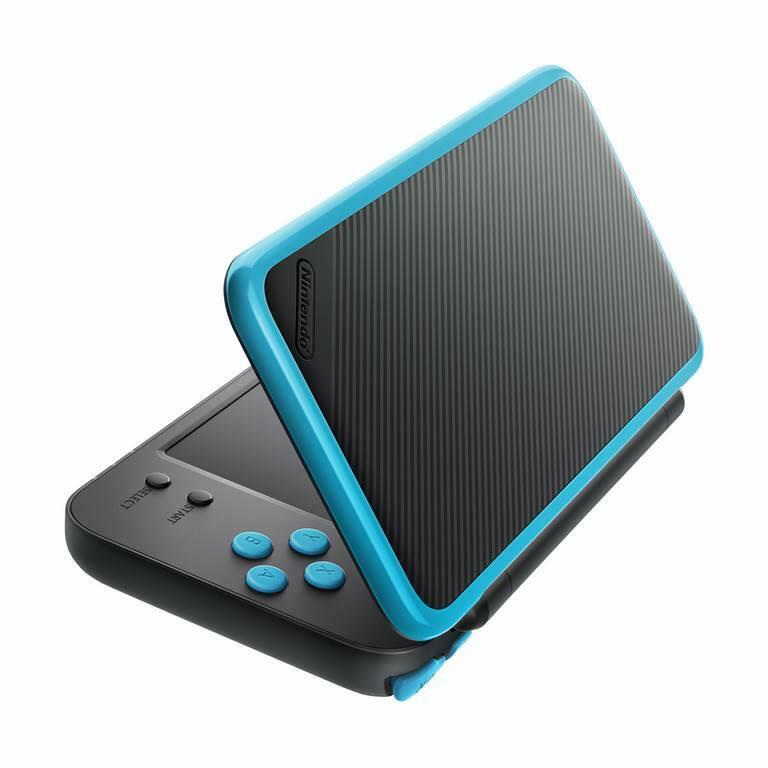 I never liked the design of the Nintendo 2DS, which is one slab like design. 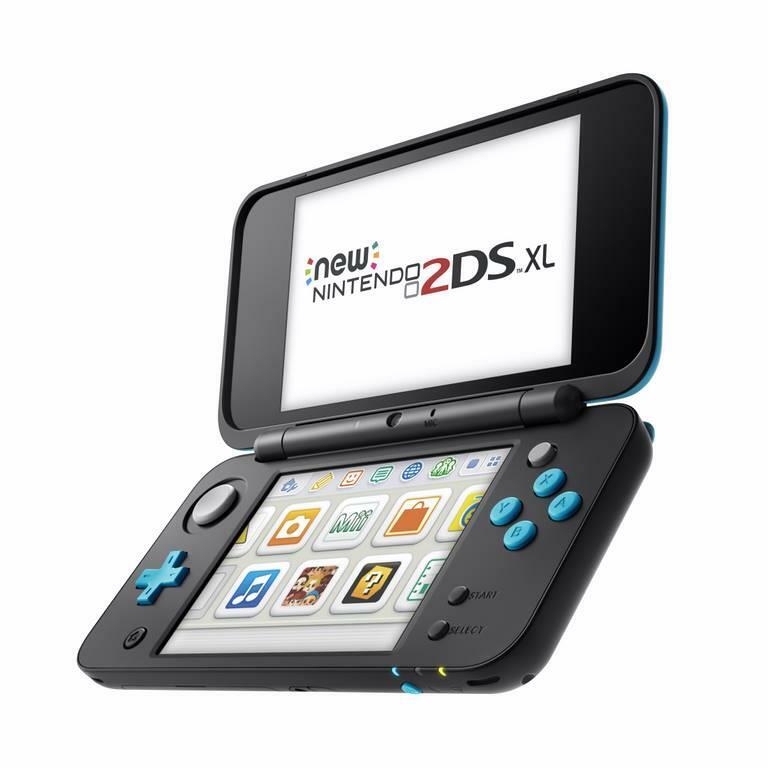 I prefer a clam shell design so between the two 2DS hardware, the New Nintendo 2DS XL wins hands down, in my opinion. It’s more compact and when transporting the hand held, the screens are protected when closed up. Because it’s made to play all the 3DS games, the control layout is the same with the left analog stick, left D-Pad, and four buttons on the right side and C-stick. The four shoulder buttons are also here so every single button and control on the 3DS XL appears on the 2DS XL as well. 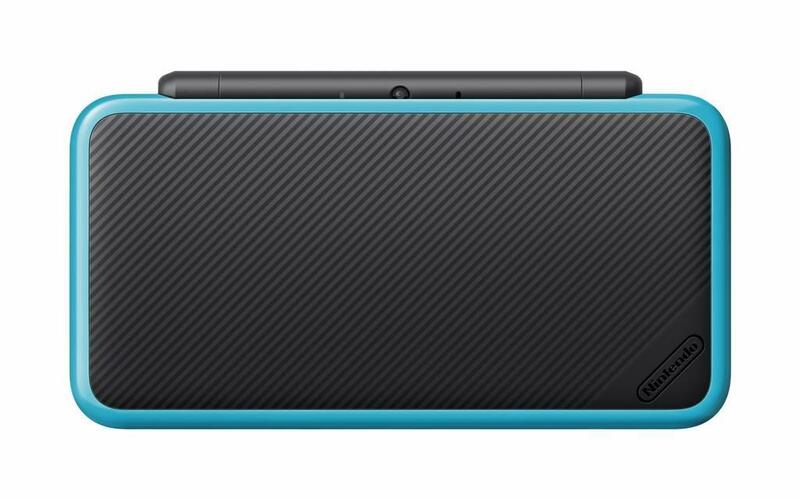 Unlike the 3DS XL, Nintendo decided to include a charger for the 2DS XL. 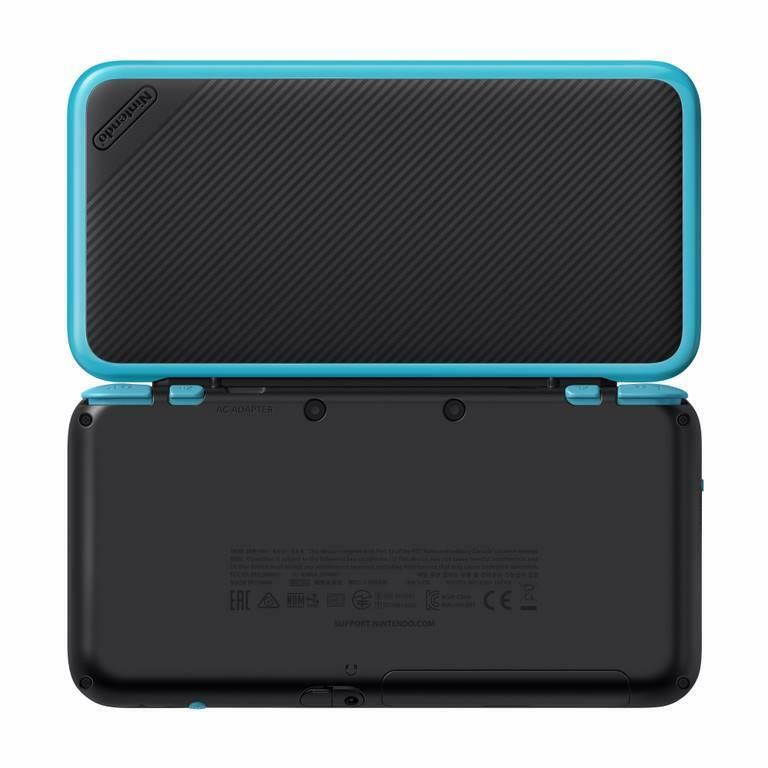 I know some families that don’t own a previous DS system and had to go purchase a charger for their 3DS XL, Nintendo has gone and just included it here, which I think they should have done in the first place with the previous hand held. In any case, I’m glad Nintendo didn’t cheapen out on providing the necessary hardware needed to charge the system. When fully charged, you can expect from three to five and a half hours of gaming from the system. This is on par with the 3DS XL, so while it’s not bad, it is a little disappointing the removal of some hardware doesn’t elicit a longer battery life. I did get around three and a half hours from a single charge so depending on the game, what features you have on, and the brightness of your screens, you should get the battery life that Nintendo has specified. So it’s a 2DS XL that plays all games without any 3D. For many people, that’s a great thing as they don’t even use the 3D feature anyways. My son, for example, doesn’t enjoy the feature at all so this would be the perfect purchase for him. He can hold a lighter unit and play his old DS and 3DS games. Since it’s 25% less expensive, it’s much more cost effective of a purchase over the 3DS XL for a feature he doesn’t intend to use. It’s really the best handheld out there with all the features it does have, all the games it can play, and at the price that’s not too expensive. 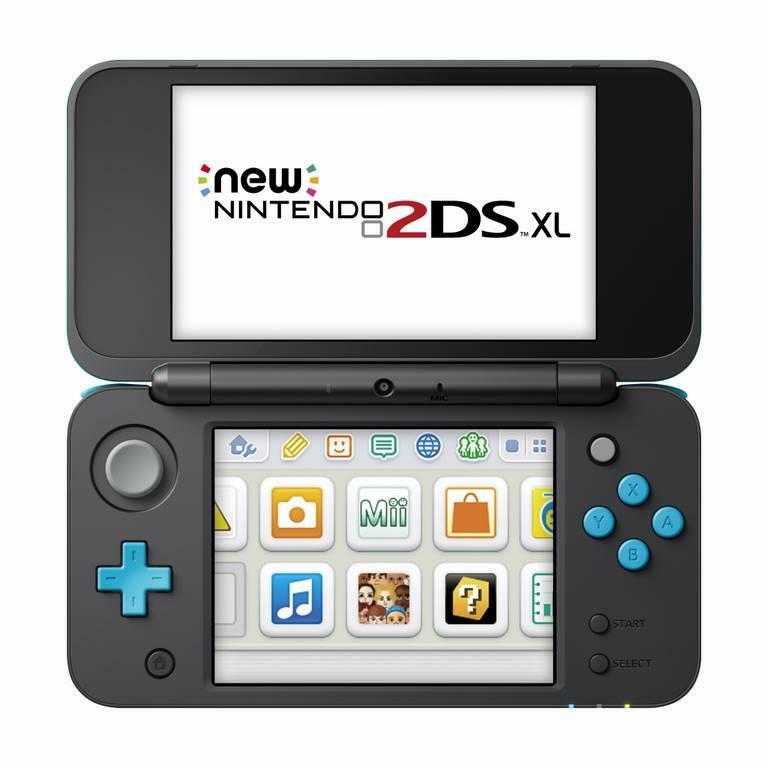 The New Nintendo 2DS XL comes in at $149.99, which is $50 less than the New Nintendo 3DS XL. 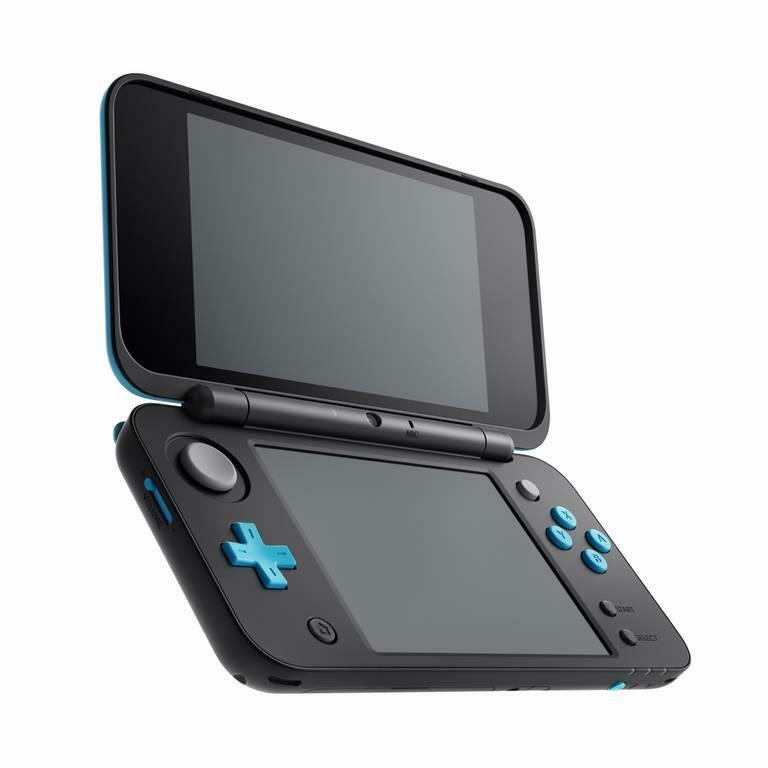 While offering pretty much all the features sans 3D and upgrades to the design as well as an inclusion of the charger, the New Nintendo 2DS XL is a great pickup for those that want to play 3DS games and not have to pay a premium for a screen they won’t use. It’s comfortable to hold and while the battery doesn’t have one of the longer battery life of a handheld, it should do you pretty well in most cases. 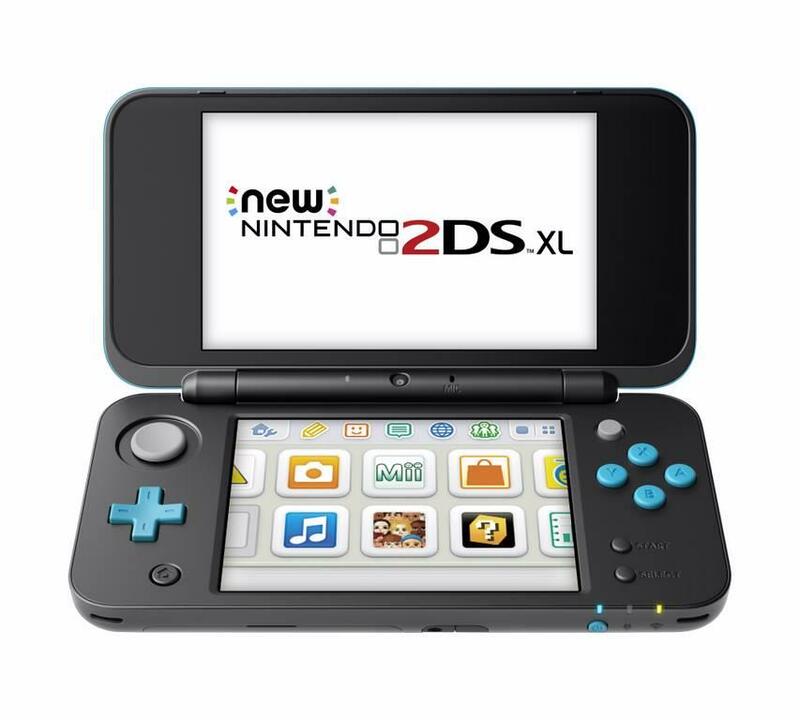 Priced at $149.99, the New Nintendo 2DS XL is a great purchase for those that want a solid portable system. The screens are still lacking and the battery life is OK, but you get a great system with plenty of games to play with. I've been reviewing products since 1997 and started out at Gaming Nexus. After writing for a few different sites that went under, it's nice to bring back a site that's not dependent on revenue and just wants to deliver news and reviews of products. I'm married, and enjoy first person shooters, sports games, and real time strategy games.